Killer whales, or Orcas, are known for their vicious killing capabilities. However, no one has ever done a scientific study recording a case of killer whale infanticide. Researchers in Canada witnessed a horrifying situation. 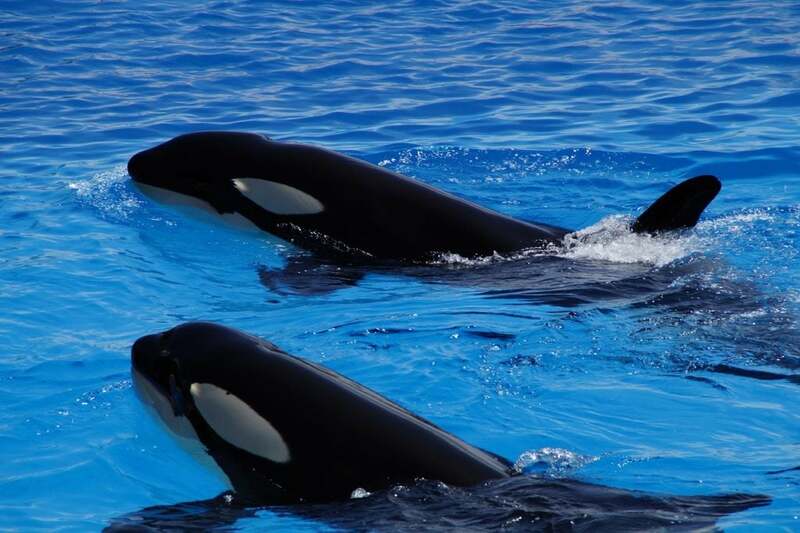 They watched a male killer whale drowning an infant that belonged to the same species. This incident of killer whale infanticide occurred on December 2, 2016, near the coast of Vancouver Island, British Columbia. After witnessing the event in horror, the scientists conducted a study that they have now published in the journal Scientific Reports. The researchers, a group of marine scientists, didn’t expect to observe this horrifying event at the time when they embarked on a research expedition. They recorded on their vessel’s underwater microphones an alerting sound that was attributed to the presence of killer whales in the area. After they learned that the whales were in fact behind the noises on the microphones, the researchers noticed a splashing in the water that they attributed to the whales possibly hunting. However, after closer observation they found that an infant Orca didn’t come up to the surface. A male had the calf in its mouth and his mother was defending him, while and calf’s mother and others of the pod were chasing them. This is the first scientifically recorded observation of a killer whale infanticide. According to the study, infanticide has been observed in many different animals in the past, although never of killer whales. Jared Towers, Cetacean ecologist who worked on the study told CBC News that he was distressed with the scene. However, to gather more information they could use for research purposes, Towers and his team decided to remain until the end of the terrifying event. Scientists attribute the infanticide to something referred to as “sexually selected behavior” since the offending male and his mother didn’t eat the remains of the infant. Sexually selected behavior means that a male killed the calf so that it can mate with its mother. “In other mammals, we know that in a lot of cases males kill infants, because it forces the infant’s mom into a fertile state much quicker,” Towers told CBC News. “Killer whale moms are notorious for helping their adult sons and daughters by sharing food with them and leading them, and maybe even providing mating opportunities for adult male offspring,” Towers added. The researchers who worked on the paper and witnessed the event are doubtful about the long-held assumption on how they understood the sexual behavior of orcas. Previously, researchers thought that female orcas are free-willed when it comes to picking up their mate and mating. They were often found at the top of the pod hierarchy. However, after a close-in encounter of the killer whale infanticide, Towers thinks that female Orcas are not as much free-willed like it was thought before. What they observed raises many questions about the way killer whales interact socially.